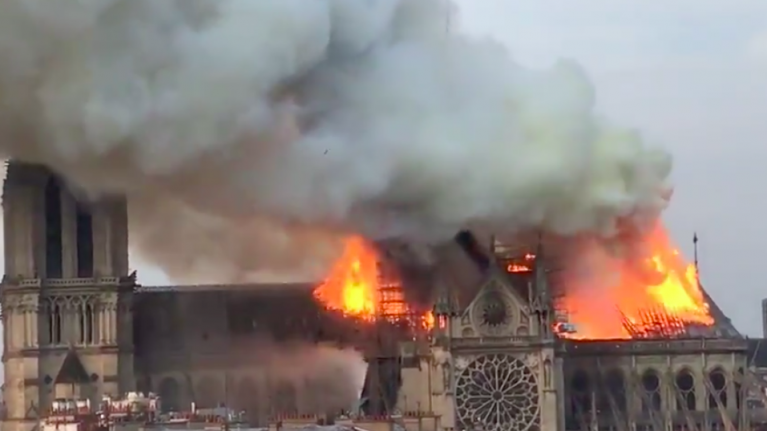 A fire has broken out in the famous Notre Dame Cathedral in Paris. The cause of the fire is not currently clear, but officials say that it could be linked to current renovation work. Images of the blaze have been appearing on social media, showing smoke and flames. Last year, an urgent appeal was launched to help raise funds to save the world famous cathedral. At over 850 years old, the building was starting to crumble. A major firefighting operation is under way to tackle the fire, which broke out this afternoon. The area which surrounds the building in central Paris has been cleared, according to officials.